Making roses can be a daunting task for someone not accustom to the art of flower making. But you don't need to be an expert to make a great looking rose as this quick guide demonstrates. 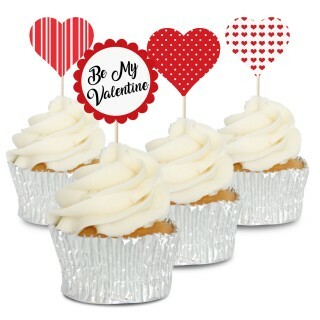 These roses are perfect for cakes, cupcakes, cookies and other edible treats. 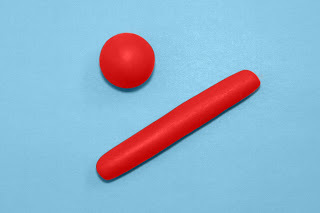 Take a ball of red sugarpaste about the size of a malteaser, then roll it into a sausage about 5-8cm (2-3") long. 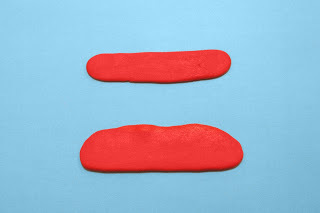 Flatten the sugarpaste using a rolling pin or your fingers. 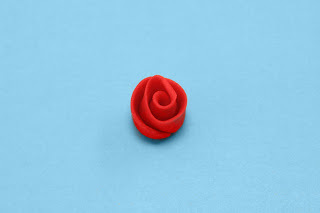 We found using your fingers resulted in a rougher piece of paste that when rolled into a rose gave a more natural look. 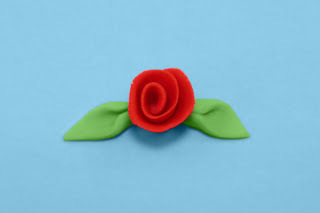 OPTIONAL: You can also pinch or roll one of the sides of the paste much thinner than the other, this will make the petals thinner which again helps give a more realistic look to the finished rose. Roll the paste up as shown below. We found rolling the paste at about a 20 degree angle produced the best results. Very carefully cut the excess paste off the rose making sure you don't crush the rose in the process. 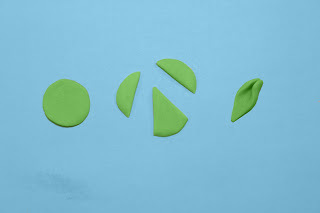 Using a small ball of green paste, about the size of a pea, flatten into a circle approximately 2-3mm thick. Using scissors or a sharp knife cut the disc as shown below. 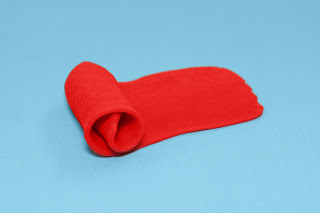 Then fold in the widest points to create a simple rose leaf. 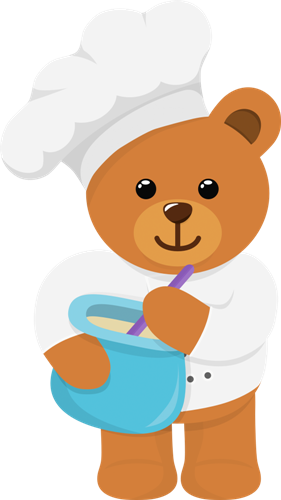 Leave to dry and then attach to your cake, cupcake, cookie or any other treat with either edible glue or some royal icing. Try different amounts of paste, different thickness's, different lengths and different rolling techniques to achieve an array of rose styles.